The Hot Cats join us this Friday at 7:30pm! Our season concludes this Friday with a great night of Dixieland jazz with the Hot Cat Jazz Band! Check out the promo video below, and click here for more info. Hope to see you at the Red Door! 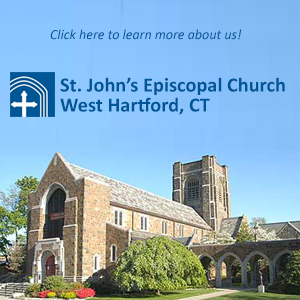 St. John’s Youth Choir Auditions Open Now! Do you love to sing? 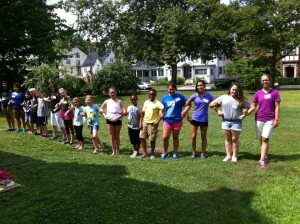 Check out the St. John’s Youth Choir! Schedule an audition today, and join us in time for Summer Choir Camp, August 2-7 in Ivoryton, CT.
Click here for printed program. 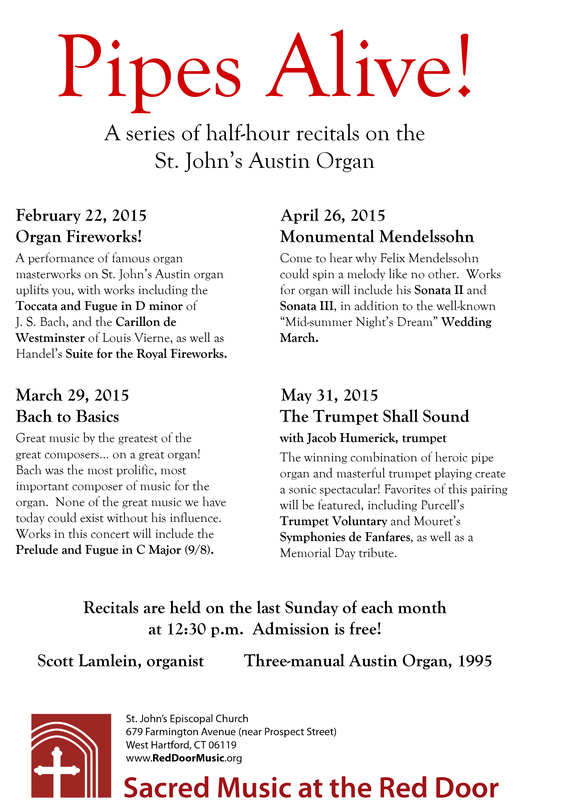 Choral Music for the Soul in one week! 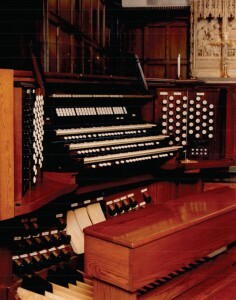 Our choirs are hard at work on the music for next week’s concert, Sunday, March 15 at 4:00pm. Check out the promo video below, and click here for more info. Sneak preview of the concert program: Click here. Check out our choirs in action! We’re currently preparing for the Advent Procession of Lessons and Carols on December 14 at 5pm. Click here for details and join us. Sunday, November 16 at 4pm. 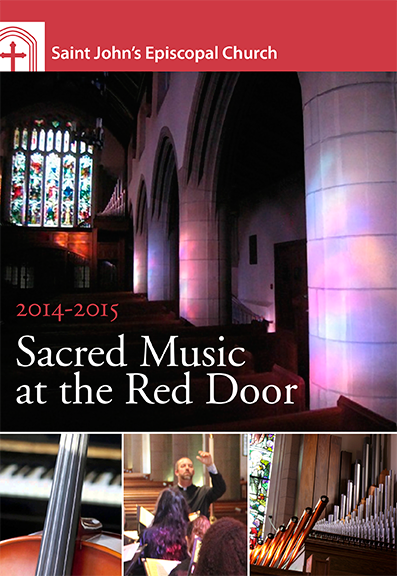 We’re pleased to announce that our full-color brochure for the 2014-2015 season of Sacred Music at the Red Door has been released! You can download a copy by clicking here. Or, click here to contact us with your postal address, and we’ll send you one by mail right away. 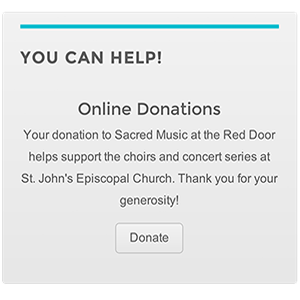 Of course, details about our season can be found online right here: Sacred Music at the Red Door Events. See you at the red door for our first concert on November 16th.